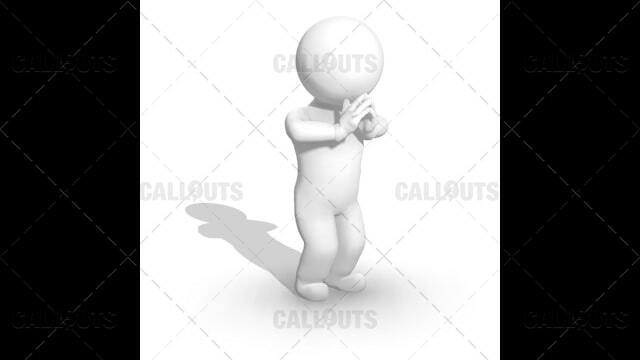 3D Man Standing and Praying. Illustration of a White Cartoon Character in Prayer, with Hands Pressed Together. Isolated on White Background with Shadow. Shadow forming something resembling a cross.